Greetings on a perfectly and very rainy Tuesday morning. It is the beginning of my work week and I am feeling happy and pensive at the same time. 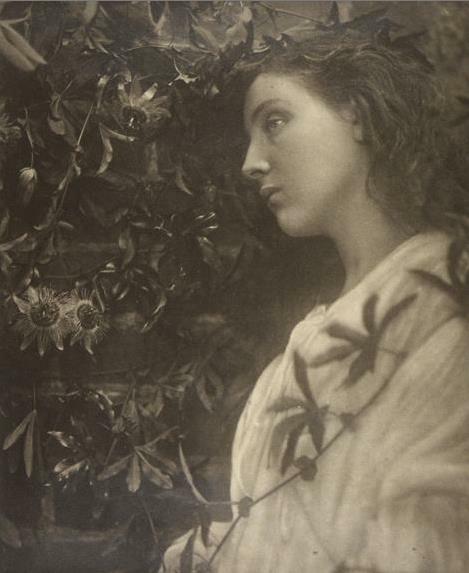 And this Julia Margaret Cameron photo of a woman and a Passionflower seemed just right.